Here are some thoughts about Narnia that my daughter, Laura, wrote while she was in Oxford, England studying C.S. Lewis and other fantasy writers. I have realized that the love-even devotion-that I had for C.S. Lewis’s Narnia books as a child has not gone away, even though I now read them as a skeptical adult, and I feel the need to defend them fiercely when people disparage them. The books are part of me. The Lion, the Witch, and the Wardrobe was especially instrumental in shaping my imagination. 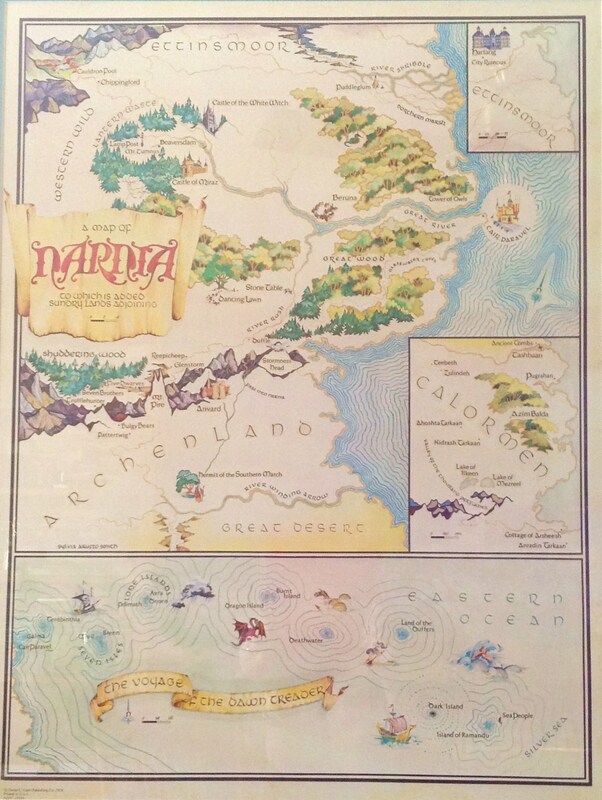 Many of my childhood games involved Narnia in one way or another. I had (and still have) a stuffed lion named Aslan. I sent my animals off on the voyage of the Dawn Treader in individual boats crafted from the lids of toy boxes. I remember vivid dreams of Narnia. The most memorable dream is one that I had around the age of ten or so. I dreamt that I was Lucy, and I was too old to go back to Narnia, but I was still allowed into a corridor that stood between our world and Narnia. In my dream, I could sit in that corridor, a sort of limbo, for hours, and have tea with Aslan. Aslan was the most important part of Narnia. He was strong and wise but soft and gentle, a better cuddler than all my stuffed animals combined. I was not afraid of him at all, but being near him filled me with joy. Underlying that joy, however, was the uneasy feeling that one day, I would be too old even to enter the corridor between the worlds, and I would not be able to see Aslan directly any more. For me, Aslan was always Christ. I intuitively understood the allegory of the crucifixion and resurrection. Perhaps that was partly because I had a morbid fascination with the passion of the Christ when I was little, but that’s another story. Jadis, the White Witch, was sin or Satan. Aslan chose to die because he cared more about the life of one small, imperfect human than about reigning forever; indeed, when the Pevensie children were crowned, he diminished, allowing them to rule. His self-sacrifice, the defeat of death “by death” (thank you, Rachmaninoff) was and remains one of the most touching displays of love I have seen. Aslan’s death was not about saving Edmund from Aslan’s own wrath, or that of the Emperor-beyond-the-sea, but from the all-consuming power of greed. And what better way to defeat greed than by the sacrifice of the greatest thing that he had to offer? I have always been moved by the rightness of it. That does not mean that my beliefs have not evolved since early childhood. I do not have the simple, unquestioning “child faith” that I used to have, and, in some ways, I am glad. In other ways, I still mourn its loss. Sometimes, I feel like I am still searching for the corridor that disappeared while I was not looking. But there is one thing for certain: even though I do not see Aslan directly anymore, I know that the spirit of Narnia still lives in me somewhere, like a flame just under the surface of the skin. In my dreams, and sometimes, when I see what I know to be suffering or injustice, I know that I am hearing Aslan’s roar. Amen. In his book Bowling Alone, published in 2000, Robert Putnam described the fraying community and social ties in American society, citing declining church attendance; declining voter turnout; and declining participation in labor unions, in civic clubs, in scouting, and in all sorts of community organizations like bowling leagues. He warned that declining engagement with one another jeopardizes the social connections and social resources that we must have in order to solve community problems. In a new book entitled Our Kids: The American Dream in Crisis, Putnam describes the growing divide between children born into families who are able to give them enriching experiences such as reading to them beginning in babyhood and taking them to music, sports, scouts and other opportunities, and children whose families are struggling simply to survive economically He stresses that it’s not just material resources that these children lack. They are missing out on mentoring and the benefits that come from knowing a network of caring adults, and from enriching activities. Along with a good education and good health care, these blessings help children grow up into strong adults. Putnam reminds us that all of these children are OUR children, and we are collectively responsible for them. Faith communities can certainly help address the situation, Putnam notes, especially when it comes to mentoring children. I resonate with Putnam’s call for adults to step forward and be mentors. There is no substitute for having adults show interest in you and want to spend time with you. You can read a Washington Post article about this book here, and a review from the New York Times here. I look forward to reading the whole book. 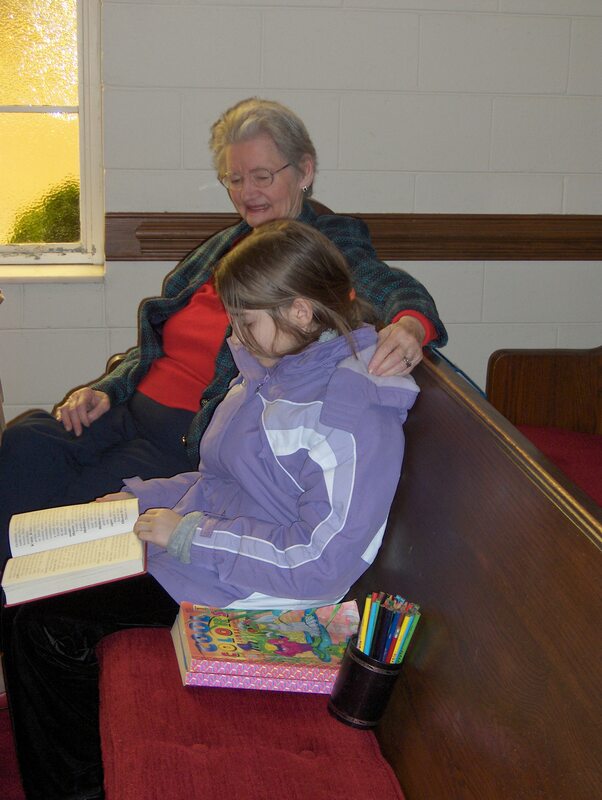 Growing up I received so many blessings and was loved and mentored by so many caring adults in my family and church. My husband was similarly blessed. Thanks to our families and our church, my husband and I were able to pass these blessings on to our daughter. God has brought to our church’s attention a whole flock of children that we can share these blessings with, and we are seeking ways to do that. 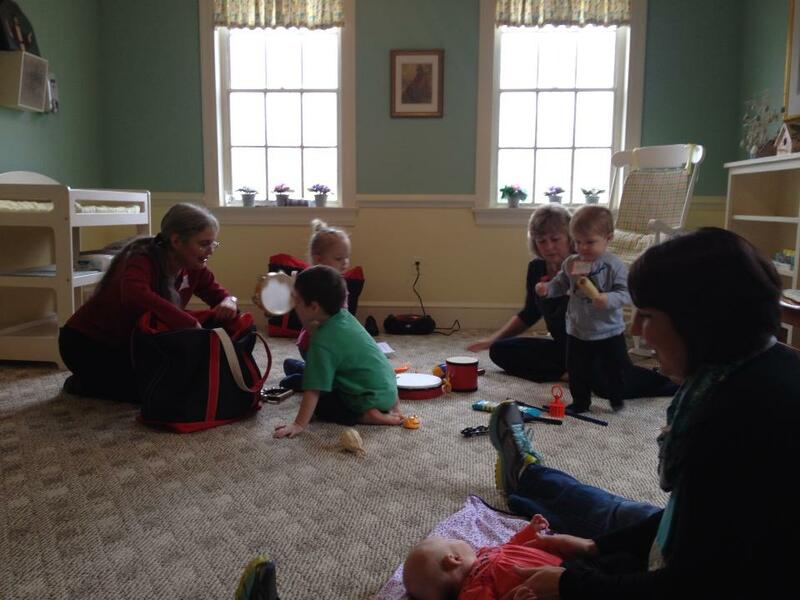 See my recent post on sharing music with little children. God has also brought to our attention some statistics that cause great concern. We have learned, for example, that within a seven mile radius of our church’s building 37% of households with children are headed by single mothers, and 8% are headed by single fathers, and that adds up to 45%. Moreover, 18% of all households within this radius are subsisting on $15,000 a year or less. It is a varied and challenging community in which to seek God’s call. However we answer the call, it is going to require an investment of our hearts, making friends and building relationships.